“A good farm is recognized as good partly by its’ beauty,” -Wendell Berry, former Kentucky Poet Laureate. Beauty is just one of many explanations behind record attendance flocking to the Plow Day Spring Festival at Homeplace on Green River on Saturday. Nearly 2,500 people enjoyed the beautiful weather, sights, sounds, and even the smells emitting from Homeplace during its’ annual spring festival and Homeplace board members were ecstatic to say the least. The previous record, an estimated 2,000, was set at last September’s Fall Heritage Festival. It’s difficult to determine an exact count because people were constantly coming and going all day but organizers say there were about 800 cars and the parking areas were full. There were nearly 15 horse and mule teams demonstrating 100-year-old plowing techniques with ringing commands of “gee” and “haw” to help the horse and mule teams navigate the field used for plowing. There were 36 arts and crafts vendors, exhibitors, and demonstrators alongside eight food vendors. The pony rides, barrel train and hayrides were filled all day long with excited children and adults alike. The food vendors had very little time to rest and the newly renovated barn held continuous live music throughout the day and was constantly crowded. The Homeplace board would like to thank everyone who came to the event and everyone who helped make Plow Day so successful this year. 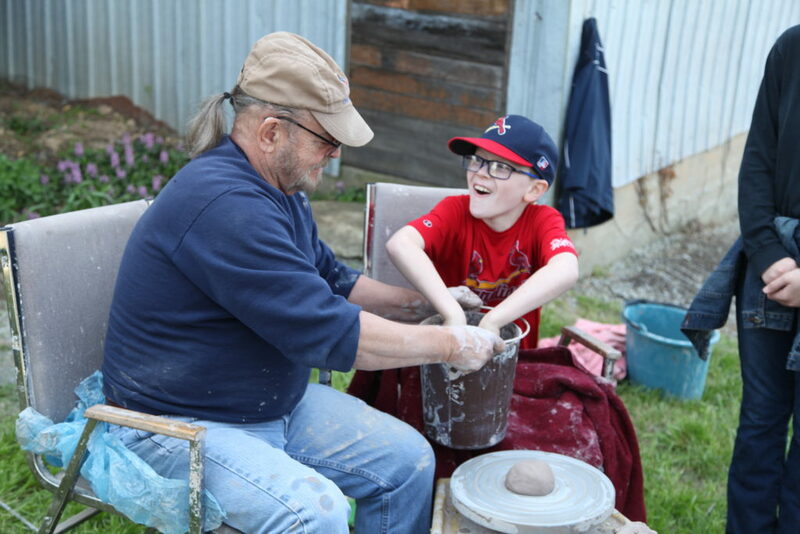 David Waltz, retired teacher from Gradyville, helped children learn a quick lesson on pottery at the Plow Day Spring Festival on Saturday. Connor Coots, 10 of Campbellsville, was enthused by the squishy material after plunging his hands into moldable clay provided by Waltz. 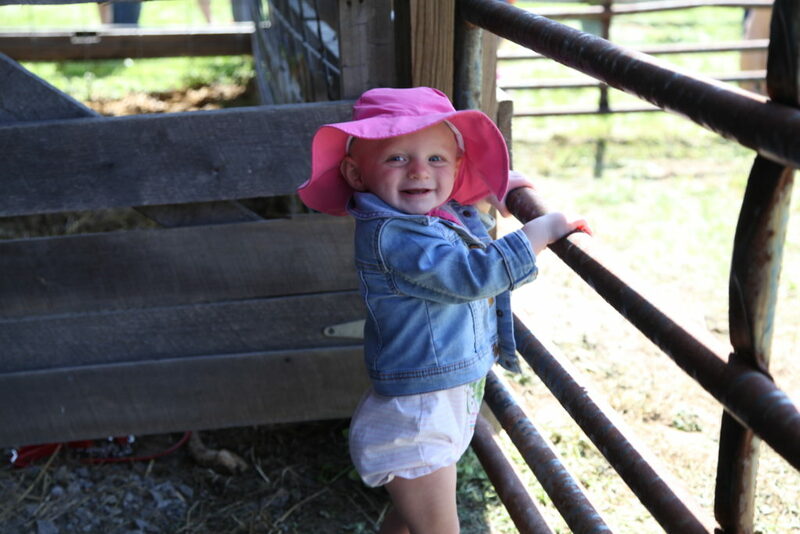 Izzie Mae Bryant was so excited to see all of the animals on display during the petting zoo at Homeplace on Green River Plow Day and Spring Festival. Bryant is the 14-month-old daughter of Easton and Mercedes Bryant of Columbia.